I wrote a blog post in May about Betsson and how they make it harder than it have to be for their players to start playing. You can find the post here, Betsson teases their players but makes it hard for them to start playing! My design advice was that Betsson should make their background clickable so that they don’t just tease the players but help them start playing. It looks like they now have done just that on their start page for a few backgrounds (Betsson changes background almost everytime you go to the start page) but not on all, and I’ve only seen it on the Swedish website. Image 1. The clickable area is within the red rectangle. 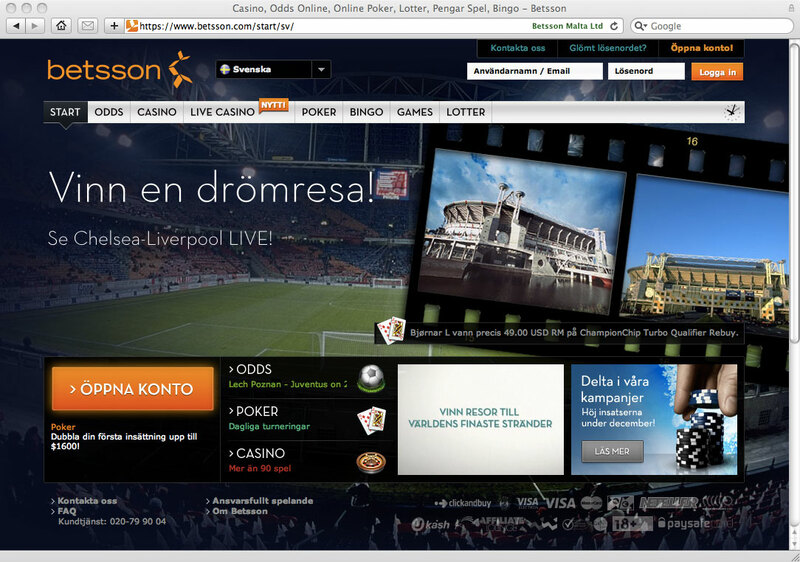 I hope Betsson implements it so that it works the same on all backgrounds and in all languages.